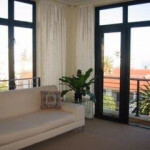 Comfortable Two Bedroom Two Bathroom apartment in the Heart of Seapoint, a vibrant suburb of Cape Town. The apartment boasts stunning sea views. Situated within short walking distance from Seapoint Promenade, enjoy the Seapoint pool, amazing food stalls, or take a bicycle ride along the sea front. From the apartment, enjoy beautiful sunsets, watch the ships meander along the ocean with Robben Island as a backdrop. Spacious Two Bedroom Two Bathroom penthouse apartment in the Heart of Seapoint, a vibrant suburb of Cape Town. The apartment boasts stunning sea views. Situated within short walking distance from Seapoint Promenade, enjoy the Seapoint pool, amazing food stalls, or take a bicycle ride along the sea front. 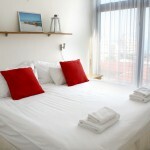 From the apartment, enjoy beautiful sunsets, watch the ships meander along the ocean with Robben Island as a backdrop. Gorgeous One Bedroom One Bathroom apartment in Seapoint, a vibrant suburb of Cape Town, with the Seapoint Promenade within walking distance, go have a picnic, take a bicycle ride along the Promenade, enjoy the good food served at the food stalls or go lounge next to the Seapoint pool. This apartment is central and located close to white sandy beaches, Table Mountain, Signal Hill, the V&A Waterfront and Seapoint Main Road offers various restaurants & nightlife entertainment. Beautiful 2 Bedroom, One Bathroom apartment in Seapoint, a vibrant suburb of Cape Town, with the Seapoint Promenade within walking distance, go have a picnic, take a bicycle ride along the Promenade, enjoy the good food served at the food stalls or go lounge next to the Seapoint pool. This apartment is central and located close to white sandy beaches, Table Mountain, Signal Hill, the V&A Waterfront and Seapoint Main Road offers various restaurants & nightlife entertainment. 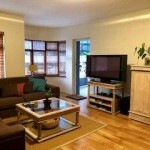 Stunning Two Bedroom One Bathroom self catering apartment toward the end of Seapoint. If you want to enjoy all that Cape Town has to offer, sea, sun, mountains & dining, you will find your perfect retreat in Shalom Court. Spacious living, comfortable, partial sea view. Escape at Shalom Court.